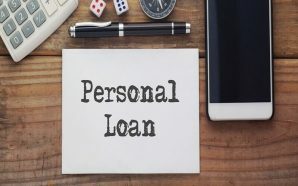 A personal loan can be defined as the loan which establishes customer credit granted for personal uses like a medical emergency, education, home maintenance, car repairing, and even vacation. Such loans are typically unsecured loans that don’t require the borrower to use any asset as collateral. 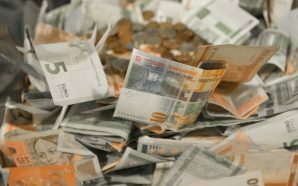 Traditional lending institutions like banks and credit unions issue such loans to a borrower depending solely on his assurance to repay the loan in time. 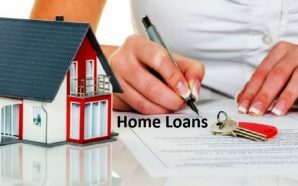 Since such loans are offered without any substantial security, they are usually charged with a higher Annual Percentage Rate (APR) than secured loans like a mortgage or an auto loan. However, under certain circumstances, the APR can be lowered. And here is a discussion on how you can lower the APR on your personal loan. At the outset, you need to work on improving your credit profile and thus the FICO score. The key to reducing the interest rate on your personal loan is to raise your FICO score because a high credit score or FICO score makes lenders feel confident about the borrower’s capacity to pay back the loan. You can improve your credit score by making on-time payment (35% of FICO score), paying off as much debt as you can (30% of FICO score) and refraining from creating new credit account (10% of FICO score). This rule is applicable for all types of personal loans including same day cash loans. You may ask your lender to reduce the interest rate. It may not always work, but it would be worthwhile if your FICO score has improved or you have been a loyal customer of the bank. In some cases, the lender may be willing to reduce the interest rate without requiring the borrower to refinance. However, this is not a common instance. You can refinance your existing personal loan to get a better interest rate. If you have a good credit profile and/or prevailing interest rate has been dropped for some reasons, then also you can qualify for a new personal loan with reduced APR. You may use the proceeds for repaying an existing loan. If you have home equity, you may think about taking out a home equity line of credit or a second real estate loan to pay back existing personal loan. Rolling a debt into a secured loan would help you get lower interest rate since secured loans are supported by collateral. These are a few important tips on reducing interest rates on personal loans. Be it personal loans for bad credit or same day cash loans; you may apply these tricks to lower interest rates significantly. Financial experts argue, as a drawback, the increase in monthly charges for a household. Indeed, the repayments must be made every month. Then, it is also recorded that the expenses of files remain more substantial than others. Employees in finance also provide their explanation by arguing that personal loans are often exempt from insurance, including the purchase of the property. It turns out that the latter may not be delivered or not qualitative or even defective contrary to customer expectations. However, the refund must be made once the amount contracted. And finally, the personal credit of fewer than 1500 dollars does not benefit too much the solicitors. But this last point can vary according to the type of profile of the applicant, his ability to negotiate and also as a function of time. What do you need to know before you take out a quick personal loan? You have obtained a loan offer without proof that you can sign quickly to carry out a project? Be careful, however, to some precautions you should take before starting. If the personal loan is a form of consumer credit totally viable and recommended in some cases, it is, however, necessary to control the operation to avoid unpleasant surprises. We detail here for you the points that you must watch before giving your agreement. The advantage of the unaffected personal loan is that it can allow you to finance a good or service without having to communicate the use you make of the sum. This credit without any proof can reach the maximum sum of 75 000 and thus be used to buy a new car, to finance an extension in your house, or to offer you a dream trip. You use the sum as you see fit. Of course, the sum obtained can also help to cope with an unforeseen event, such as illness or the disappearance of a loved one. There are fast personal loan offers that require very little evidence. Sometimes you will not even have to justify your income level or your place of residence and your future debt ratio by subscribing to the credit. Be wary of offers that seem too profitable and for which the number of justifying documents requested is not enough. You can probably see this as a real time saver, but it is also a potential danger to you and your financial situation. Indeed, the financing institutions are required to check the creditworthiness of the borrowers. If their assessment of your file is an approximation, and that the credit is granted to you when it will make you switch into a difficult situation, you may well embark on a spiral of over-indebtedness. The non-affected is very convenient because it allows to have a sum immediately and to use freely. But this credit without a relatively flexible justification requires real thought and wisdom on your part in order not to engage without full awareness. An unallocated loan does not require proof of use of the funds and is thus not related to the purchase of a specific good or service. In concrete terms, if the good or service acquired using the unallocated loan is not delivered or proves to be defective or not in conformity with the initial order, you will not be able to use the protection associated with the loan to stop or even put pause the repayment of your monthly payments. This protection exists with an “affected” loan. You must also be more vigilant about the pricing conditions that are offered to you and especially about the rate of your loan. In addition to the nominative rate that is offered, are added various fees such as fees, registration fees, but also any insurance premiums when it is imposed by the lender. With a rate posted on very promising advertising and a rate that is ultimately much higher and less interesting than a conventional consumer credit, you think. The rates of personal loans are set in a completely free way by the banking establishments, in the limit however of the rate of wear. The best solution to avoid unpleasant surprises is therefore to compare. If the above points do not block you in your choice and you still want to use the non-affected, consider securing your loan using insurance formulas. In the case of a personal loan, disability and disability death insurance is optional. Important However, especially when you borrow a large amount, we advise you to take out insurance that can take care of the monthly loan payments in case of problems. This insurance will help secure your project, and especially not to leave a debt to your loved ones. As for another loan, whether it is, for example, a mortgage, a car loan or a working loan, a personal loan, whether earmarked or non-earmarked, commits you to and must be repaid. To ensure you have conditions that match your situation, we advise you to take the time to think about the real usefulness of your project and compare offers on the market. What Are The Facts That You Should Know About Personal Loans? 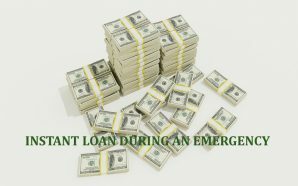 Why Should You Opt for an Instant Loan During an Emergency?